Longlisted for the Carnegie Medal 2019. Shortlisted for the YA Book Prize. Britain, 1914. The world stands on the edge of change. 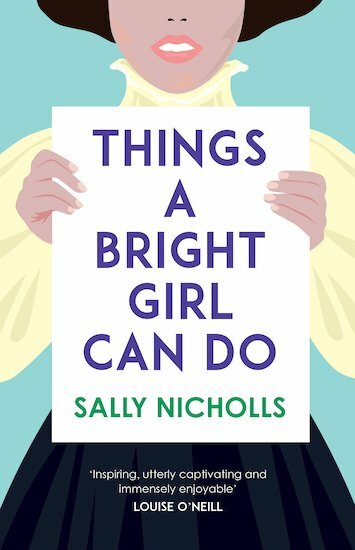 But what’s a bright girl to do? Answer: not much. Nice girls can’t wear trousers. They can’t study engineering. They can’t live alone. And they definitely can’t vote. So – stuff being ladylike! Now three brave young women are speaking up. Evelyn wants to study, not marry. May is fifteen, a sworn suffragette. Nell is from the school of hard knocks – and now she’s in love. With May. Through rallies and marches, polite drawing rooms and freezing prison cells, East End slums and government chambers, these girls are determined to fight for their rights. But as the Great War looms, how much are they willing to sacrifice?